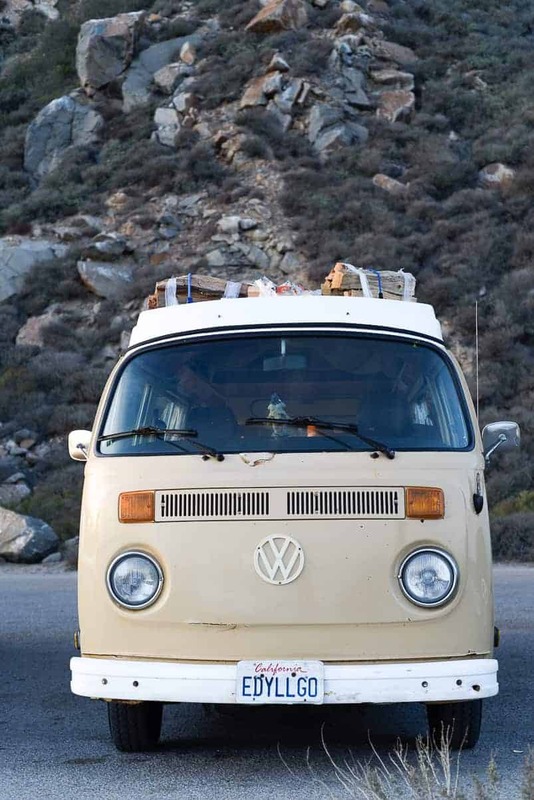 There’s something about Volkswagen buses that stir the imagination. You start thinking about where you would go if you were at the wheel and had the time. Where you would camp. What adventures you would find. That’s what seeing a VW bus always did to me, anyway. In October, as per our plan to have nothing but time (and plane tickets), Eric and I decided to explore our own backyard, or coastline as it were. The glorious Pacific Coast Highway. 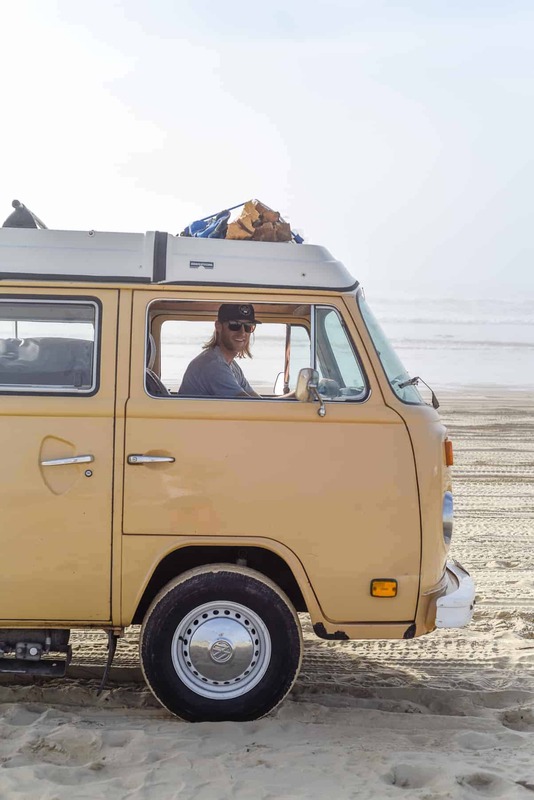 We rented a 1979 VW camper bus from Vintage Surfari Wagons and headed out on a highway 1 road trip into the Californian sunset. Our bus was named Eddie, as in “Eddie Would Go,” which was the perfect name for our mission to surf and camp our way up the coast. The game plan was simple. 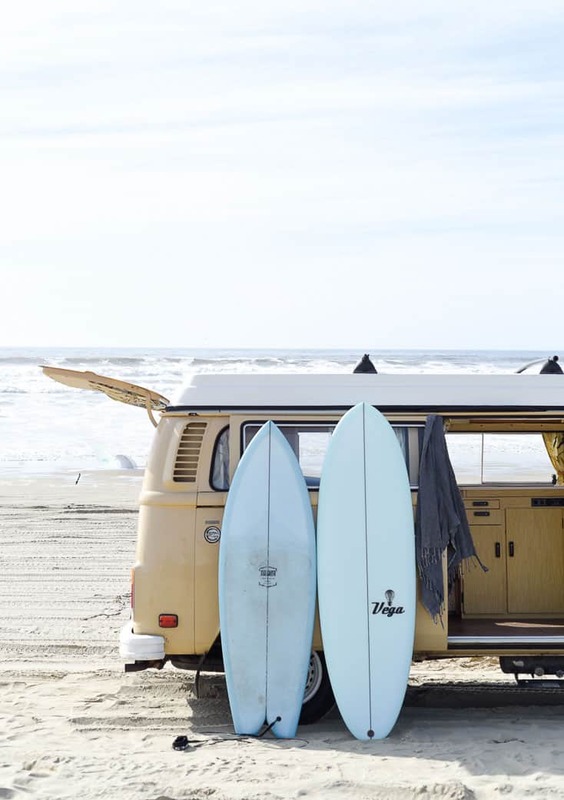 Cruise, surf, camp, repeat. We picked up Eddie in Costa Mesa, went straight to Huntington Beach for a surf before sunset, and then headed north up the PCH. We began our trip being locked out of our first campground. Leave it to us to kick off a trip with a bang. We had called to make sure the gate would be open if we arrived later in the evening, and the answer was yep, not a problem. Yet the gate was oh-so-locked when we showed up at 11pm. After scouring north Malibu for a place to free camp, we decided to just camp right outside the entrance to the campground. So there we were wearing headlamps and brushing our teeth on the side of the road at midnight, when a car pulled up about five feet from us. A guy hopped out, and without giving us the slightest acknowledgment of existence, he threw a thick rubber mat over the metal spikes in the exit lane that prevented entry. Then he swifty drove his car over the spikes. Got out, threw the mat to the side, and drove off into the campground. Eric and I stopped brushing our teeth and slowly turned to each other laughing. Hallelujah! 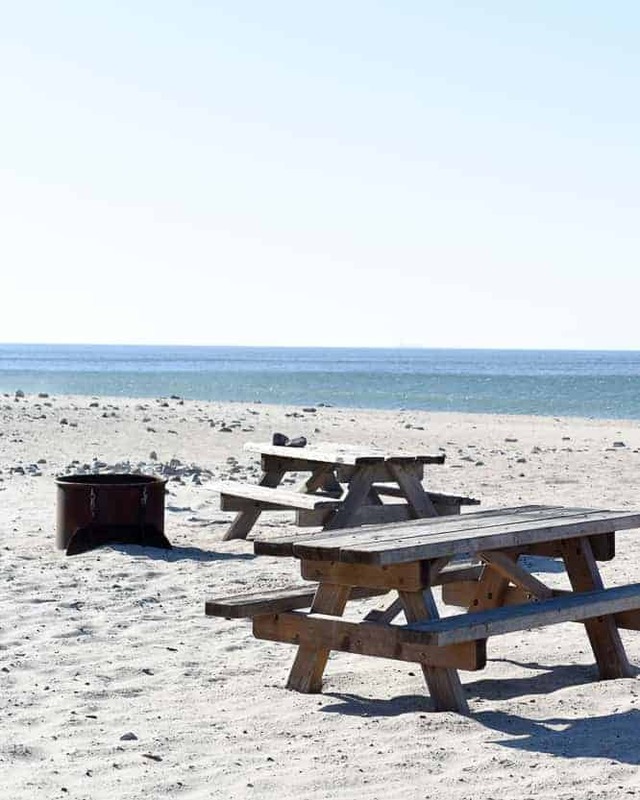 We quickly followed suit, drove into the campground, and fell asleep to the sound of the waves. We didn’t really camp in Ventura, we just napped in a parking lot. Because we were tired and we could. After our siesta in the pop-top we chatted with a guy who told us that sleeping in a car in any public place in Ventura County is very against the law. Day two and we were already total rebels. The surf was small, but surf-able, so we had a post-nap session out at Ventura Point. We quickly found out that we’re either bad campers or bad planners, or maybe a bit of both. Our joke fast became that we couldn’t possibly arrive at a campground before dark. That would be waaay too reasonable. So we arrived at Emma Wood at sunset, found a spot, cracked open a bottle of red and chatted with an eccentric self-professed millionaire named John Lennon as we watched the sun drop below the horizon. In the morning we woke up to a small camera crew shooting a piece on Ventura with a bright red VW right behind our bus. We learned that VW buses attract VW buses. 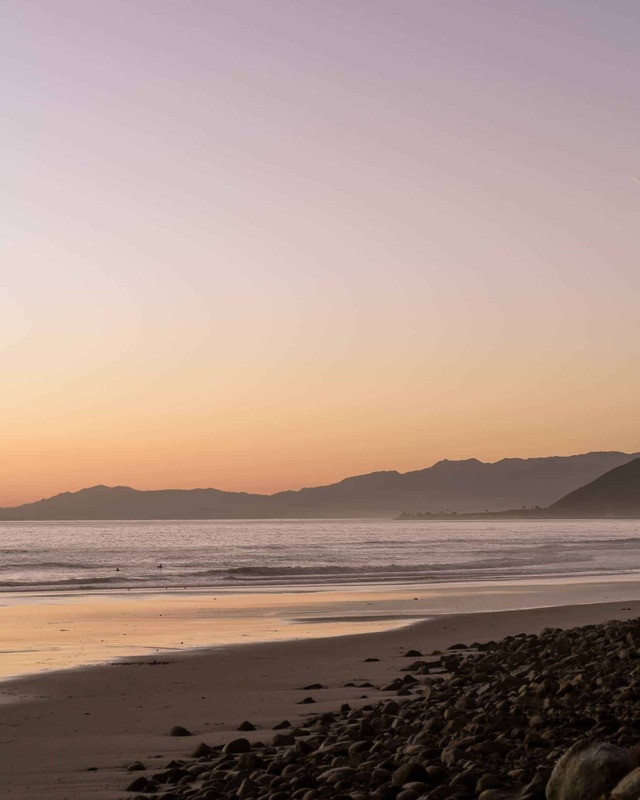 El Refugio is a beautiful campsite and beach just north of Santa Barbara. 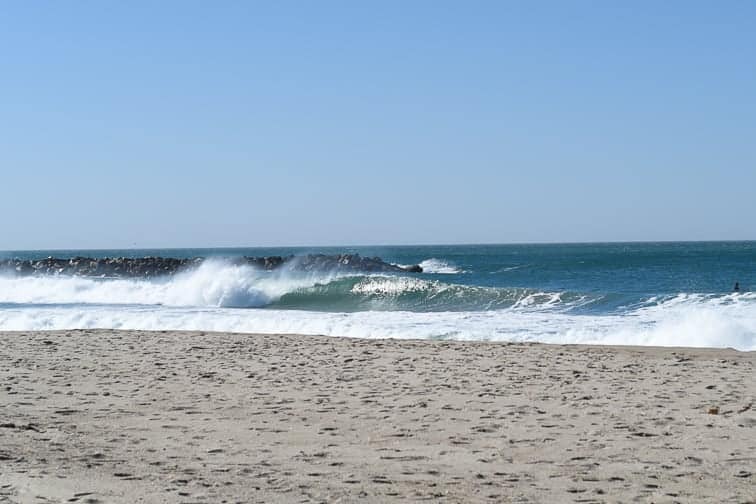 There’s a break at El Refugio, but it’s supposedly pretty fickle because it only picks up a very specific swell. 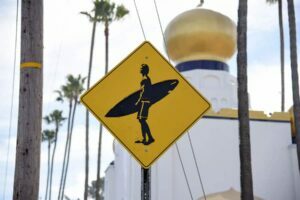 There was a 1/2 foot wave out at a point that a couple longboarders found short rides on but nothing surf-able for us. So alas, we had to resign to relaxing for the day. It was right about this time that Eric started to feel Montezuma’s revenge. A lovely keepsake that he was carrying from our Baja stint right before our coast trip. Several days earlier we had celebrated our departure from two weeks in Mexico without any digestive issues. Unfortunately, we were naive to the fact that the ‘ol revenge can strike up to two weeks after said revenge enters the body. When we arrived in Morro Bay the waves were pumping, and so was Eric’s body. Haha. Just kidding, poor thing. He kept it together, but he wasn’t doing so well. 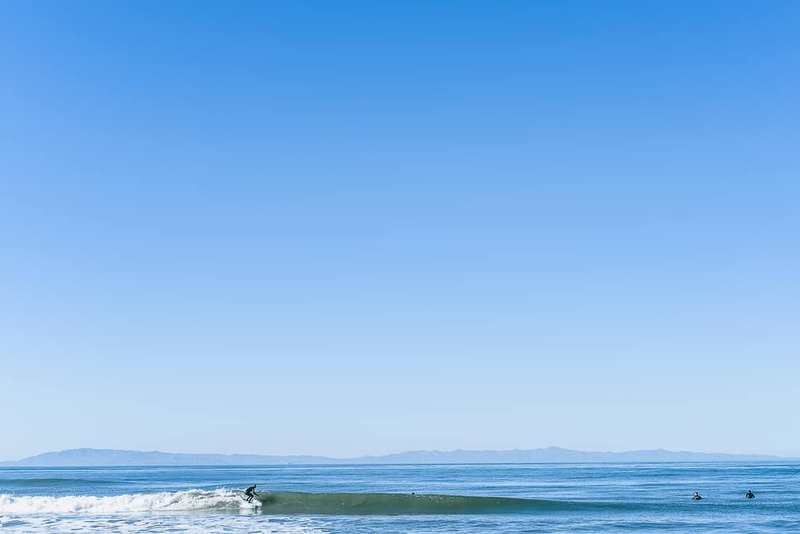 He seriously thought about paddling out, but sometimes you just got to sit one out. I’m allergic to freezing water so I decided to sit this one out too ;). We had some antibiotics for severe stomach issues when we’re traveling, so it was ironic that Eric ended up taking the medication while we were still in the States. Thankfully they worked their magic pretty quickly and Eric was feeling better in a couple of days. 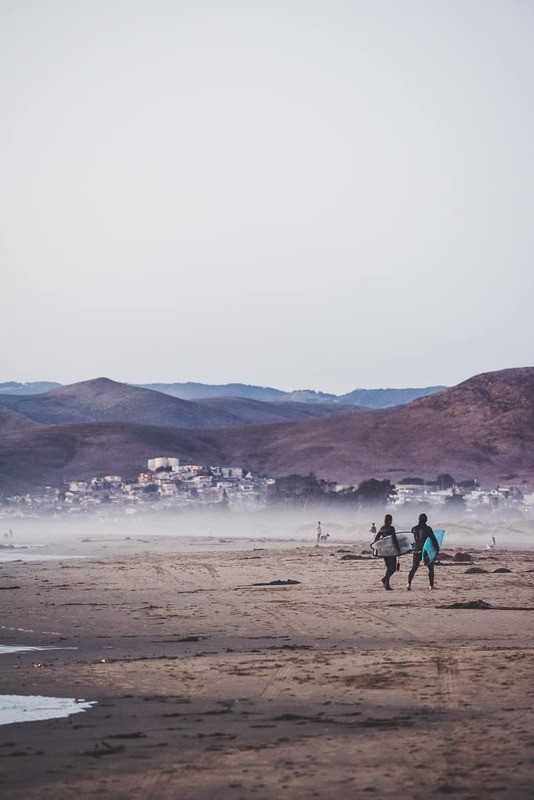 We got lucky and scored Morro Bay on our return trip back south so all was right in our little world of surf tripping. Our next stop after Morro Bay was Big Sur, which we absolutely loved. But this blog post has become ridiculously long so I broke it up into two parts :). Read about our few glorious days in Big Sur here. 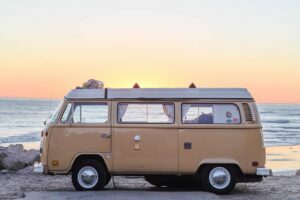 If you’ve ever been interested in renting a VW bus, you can read more about our experience and the great company we rented from, Vintage Surfari Wagons. 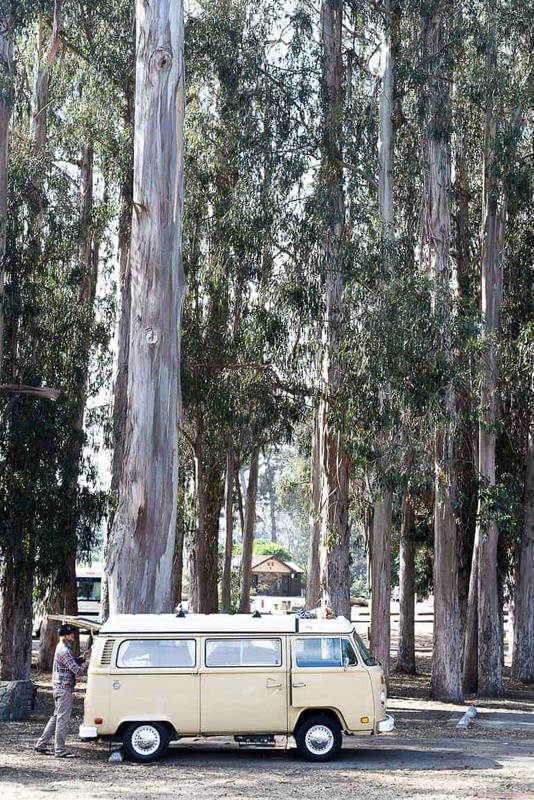 We had an amazing time and our road trip with our trusty VW bus was one to remember. 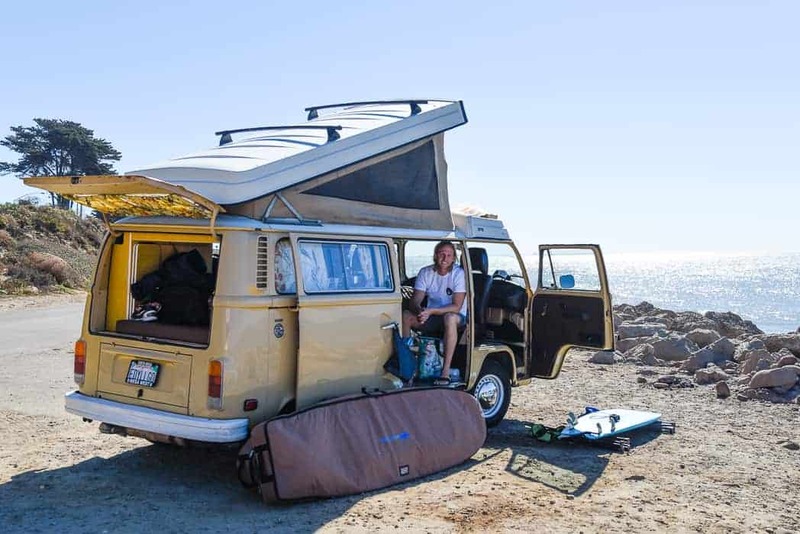 We did a ton of research about campgrounds before our trip, so Eric rounded up the best beach camping in California (especially for surfing) to help you plan your coastal California camping trip! 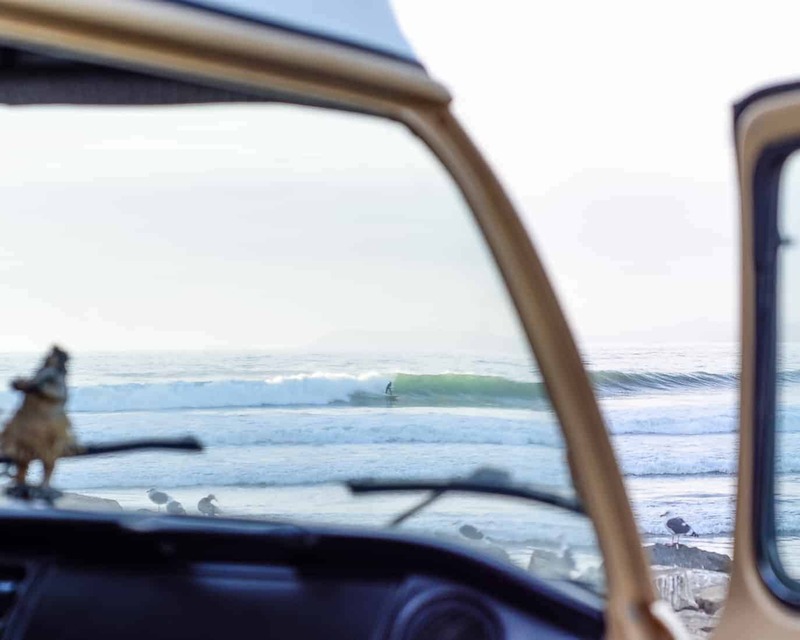 And be sure to check out our in-depth Guide to Surfing California for the lowdown on the surf. Hi Guys, love your blog, planning on doing a road trip through SoCal in 2 weeks. I was planning on hiring a van for 3 weeks but I am unsure what the availability would be like of all the sites. Do you think we would struggle? Our alternative is to just hire a car and stay in hostels/accom.